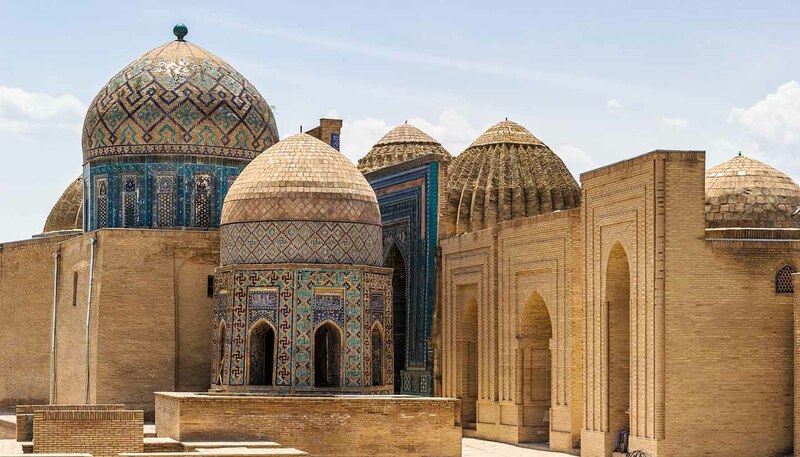 Uzbekistan Airways (www.uzairways.com) flies to all the major towns and cities in Uzbekistan on a regular basis. Destinations include Andijan, Karshi, Namangan, Navoi (which is 45 minutes by bus from Bukhara), Nukus, Samarkand, Tashkent and Termez. There's good infrastructure in Tashkent (compared with airports in surrounding countries such as Tajikistan and Kyrgyzstan) but expect delays and allow plenty of time to clear security. It's not advisable to drive yourself in Uzbekistan, or to drive at night even with a driver - road speeds increase, drunk driving is an issue and roads are perilous with potholes and few markings. While outside of the cities the roads are relatively quiet, in the cities the roads are disorganised and few drivers abide by the rules. Petrol stations are available but it's advisable to carry supplies in your driver’s car. Visitors wishing to travel around Termez (in the territory of the border patrol) require a permit from the National Company Uzbektourism. The majority of Uzbekistan's roads are paved. Highways account for more than 90% of domestic travel, but outside of the cities they are relatively quiet. There are very few official car hire services in the country, but you can easily hire drivers with cars via travel agencies. Car Rental Uzbekistan (www.carrental.uz) offers a range of vehicles for self-drive. As with most central Asian countries, most taxis are unlicensed, so always negotiate a fare before getting in and have your destination noted in Russian or Uzbek. Also typical of the region is the shared taxi phenomenon. At taxi ranks or bus stations, drivers will have a destination city marked on a board, or will be calling the name out. Negotiate a rate, check with others what to pay, but as a tourist you may pay more. The car only leaves when full. Try to get the front passenger seat, or a window – it can get very hot in Uzbekistan and not all cars have air conditioning. You can hire bikes from the East Line Tour company (www.eastlinetour.uz) in Bukhara, a city that lends itself to cycling (the same cannot be said for Samarkand). The old, battered state buses are disappearing, replaced by private buses that do not keep official schedules and leave when full. No one wears a seatbelt and you are not required by law to do so. The speed limit is 60-80kph (37-50mph) in urban areas and 90kph (56mph) on highways. There is no national breakdown service. An International Driving Permit is required for car hire. Visitors wishing to travel to Termez and other areas of the Surkhandarya region require a permit from the Ministry of Foreign Affairs in Tashkent. They usually take several days to process. There are railways linking Termez, Samarkand, Bukhara, the Fergana Valley and Nukus. There are two railway stations in Tashkent. The Trans-Caspian Railway traverses the country from Chardzhou in Turkmenistan via Kagan (near Bukhara), Samarkand and Dzhizak, where the railway branches off to serve the capital, Tashkent. Passengers should store valuables under the bed or seat, and should not leave the compartment unattended.